Watch our latest LEC TechCast video in which Jeremy reviews the Samsung Galaxy TabPro S.
The Galaxy Tabpro S is the newest offering from Samsung into the growing 2 in 1 market. Designed with productivity and entertainment in mind. It is available in 3 models; The TabPro S Home, TabPro S Pro and TabPro S Pro 4G. All three models have the same specifications with the exception of 4G on the Pro 4G model. The only difference is the Tabpro s Home model runs the standard edition of Windows 10, where as the Pro and Pro 4G models run Windows 10 professional. Weighing only 693 gm and 6.3 mm thin, the Samsung Galaxy TabPro S is a sleek looking tablet. It is much lighter compared to similar 2 in 1’s on the market. A full sized keyboard and trackpad is built into the kickstand. This acts as the protective case for the Galaxy TabPro S. The kickstand allows you to set the viewing angle at 60 degrees for typing. It is also good for watching videos or 25 degrees for casual web browsing. Held on by strong magnets, it is still quick and easy to remove if you want to use the device as a standalone tablet. The 12” Full High Definition multi touch display is also the first 2-in-1 tablet with an Super AMOLED screen. This gives you brighter & more accurate colours for work or play. Movies and photos look amazing on this screen. 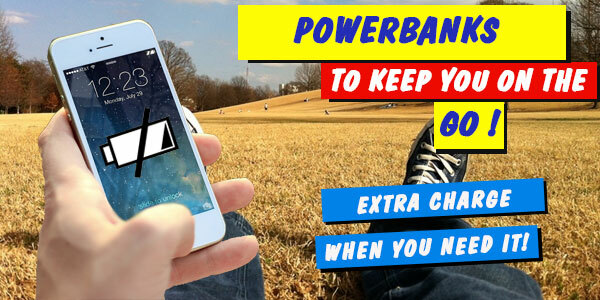 The 5200mah battery gives up to 10.5 hours battery life even when using Wi-Fi. The device can be charged from zero to 100% in about 2.5 hours. The Samsung Galaxy TabPro S runs the latest 6th gen Intel Core M Processors. These supply great mobile performance and help deliver the amazing battery life. All three versions have 4GB Ram and a 128gb ssd drive. This gives them fast and responsive performance. The Pro 4G version with LTE connectivity allows you to stay connected when on the move, whether it be streaming content or downloading documents. If you own a Galaxy S6 or S7 then you are going to love this! The Tabpro S includes a program called Samsung Flow. This allows Secure login authentication via your Galaxy smartphone. IT also allows synchronised smartphone notifications and Auto Wi-Fi hotspot. The Galaxy tabpro S from Samsung is a great choice if you are looking for a slim, light and portable 2 in 1. It is specifically designed to meet your productivity and entertainment needs. If you want to find out more about the Samsung Galaxy TabPro S, head in to your local Leading Edge Computers store https://goo.gl/MjqVcf . One of the friendly staff members can help with a model that suits your needs. 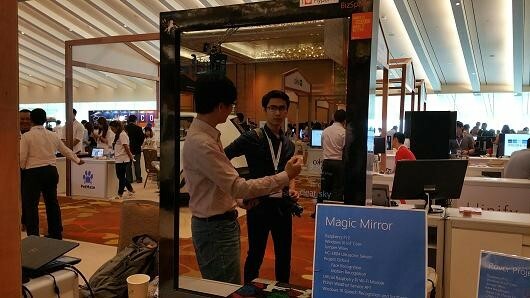 Microsoft’s Magic Mirror On The Wall;Does It Really Do It All? Microsoft’s Magic Mirror is sparking a debate in the tech world as of late. It is a smart mirror that reads your emotions and offers predictive suggestions and move in the right direction or not? On Microsoft’s workbench at the moment is Magic Mirror; a surface that resembles the average mirror. It has built in technology that allows a user to view both their reflection and relevant information like the time, weather and current traffic conditions. The Magic Mirror’s facial recognition system recognises eight different emotions. This includes anger, happiness and surprise. Microsoft’s Cognitive Services Face API then matches a person’s face to their profile. It allows the mirror to display information relevant to that person’s perceived mood. “Imagine when you wake up in the morning, you’re able to use the mirror to style your hair, do your makeup. While doing that, you can also view the weather,” Izzat Khair, a member of Microsoft Singapore’s developer experience team explained. The smart mirror concept is not entirely new. The MYHeart mirror that displayed your vital health statistics, Accenture’s intelligent mirror,analysed your behavioural patterns and could show you what you’d look like in five years’ time. In 2011, we caught wind of the Cybertecture Mirror. This augmented your reflected image with weather and news. It also checked for messages or social feeds, let you watch a TV program, and gave you information on your health status. It could even act as a personal exercise coach. The key point seems to be in the personalised customisation of it’s layout. When the mirror scans and recognises your face using Windows Hello technology it will bring up your profile. It will also contain a customised layout of the information you’ve deemed important. In keeping with the focus on cyber security. The data processed by the Microsoft’s Magic Mirror would be stored on a private cloud. The data would be deleted after seven days. The Magic Mirror is powered by a Raspberry Pi 3 running a hosted web app on Windows 10 Core. Making it more or less a consumer-level project. As the mirror is still in its demo stage, Microsoft will announce its commercial release date soon.